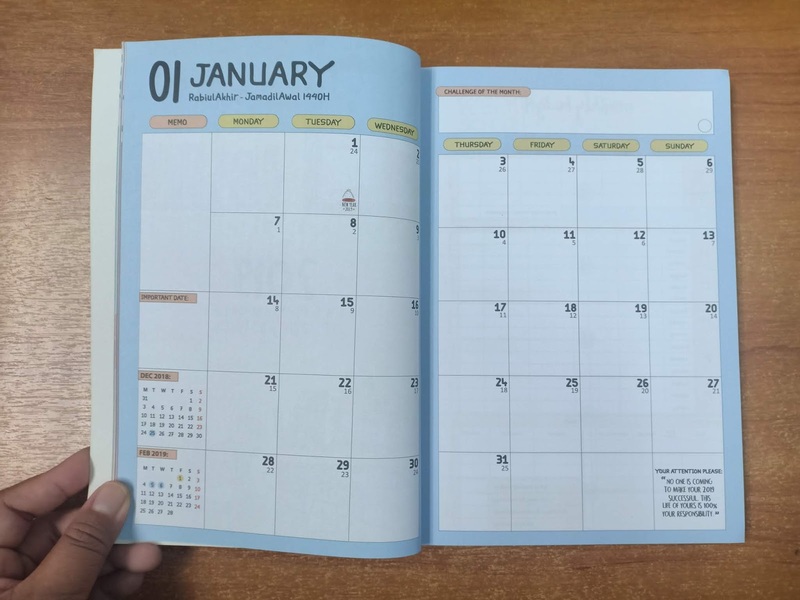 Hi, remembered that I said I'll be writing in my planner for this year in this post(click) before? As usual, I abandoned the planner yet again. I didn't write a single page at all so the planner still could be used for next year even though the date won't be a match. 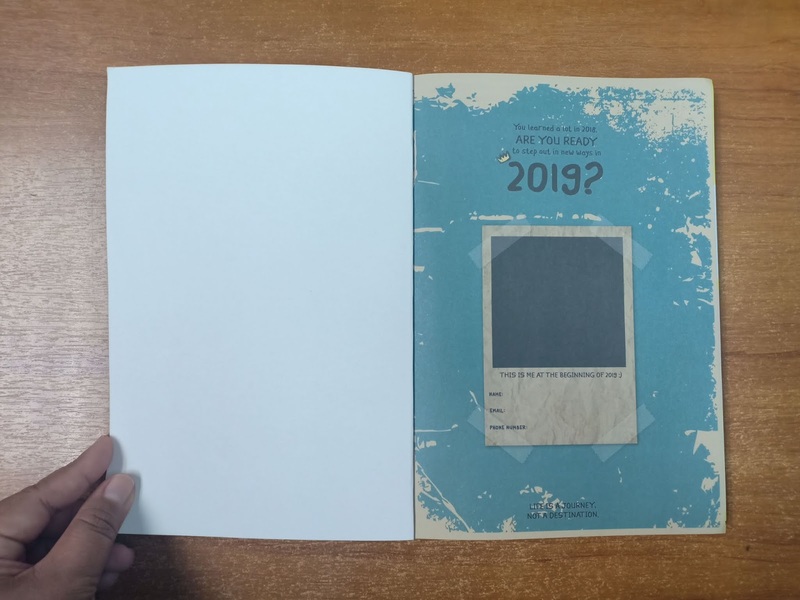 But since I love wasting money on books, I've bought a new planner for 2019, with the same hope that I won't be abandoning it this time tehee. 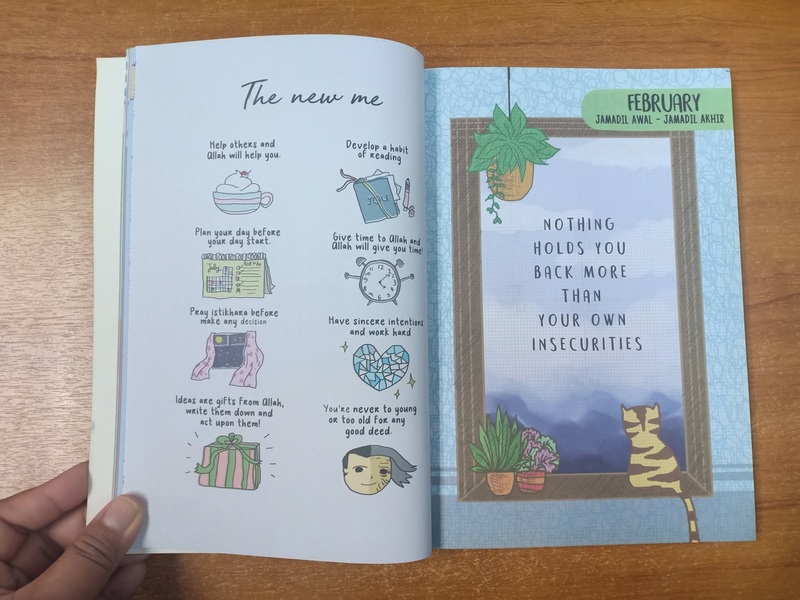 Here are some reasons why I was eager to buy this planner and why I think I might be able to be committed to this one. Who wouldn't love a colourful and catchy cover? 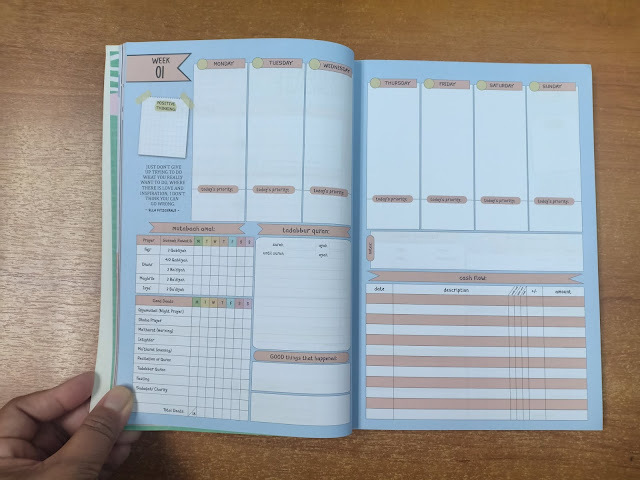 I fell in love at the first sight of this planner. Wait till you see the cheerful and creative contents too! I ordered only the planner but was surprised by the additional notebooks. 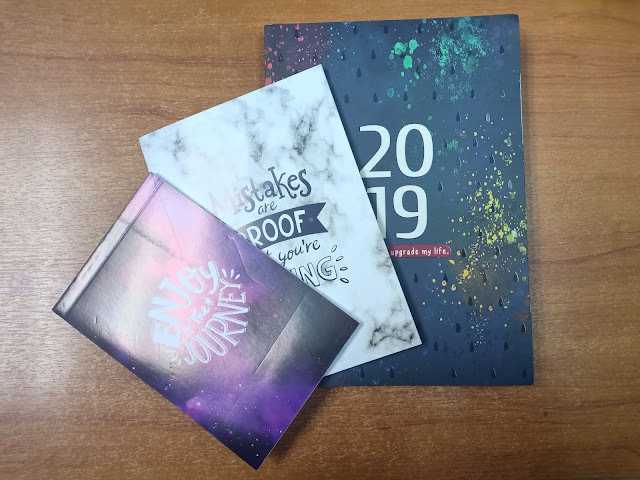 The purple 'Enjoy The Journey' was a to-do list notebook while the white 'Mistakes Are Proof That You're Trying' was a normal empty pages notebook. 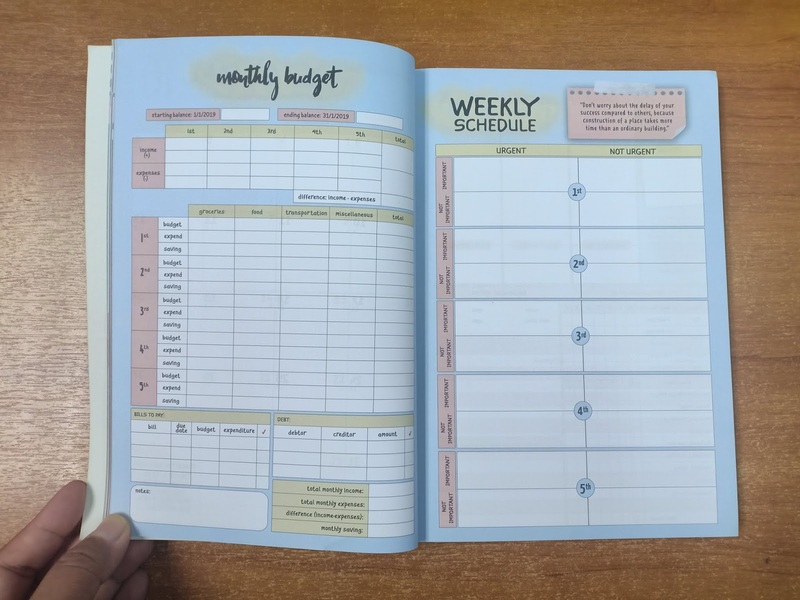 I was excited at the first page as it had a welcoming page to indicate the owner of the planner by putting the photo and details of the owner. Imma put my best photo here. There's also a section for a photo by the end of the book to see how much you've changed by the end of the year in term of your appearance, I guess - hopefully, I'll be less chubby by then. I don't really think that I could fill 'Books To Read' section as I'm not that into reading nowadays but maybe filling half of it also is good enough for the-lazy-to-read me. I had to admit that I'm not consistent in reading the Quran so I hope I'll be committed to completing this Quran tracker to cover up the times I didn't read the Quran before. It was quite burdensome having the 'Hafaz' section but thinking back, I used to hafaz quite a number of sura when I was a kid so why couldn't I hafaz more when I'm an adult, right? Weekly section and the most important 'Monthly Budget' section so that I could track my spending instead of wondering where all my money went to. 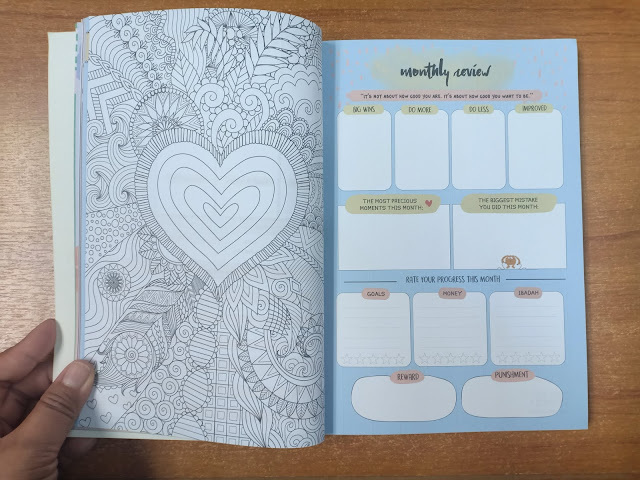 Monthly review and my favourite part was the doodling so I could release my stress by colouring this up, can't wait! 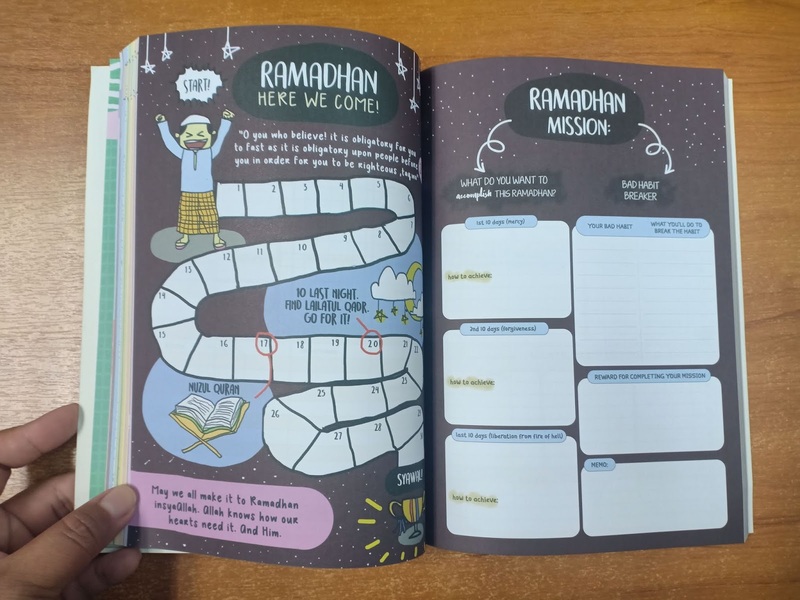 Ramadhan tracker, also like Quran tracker! 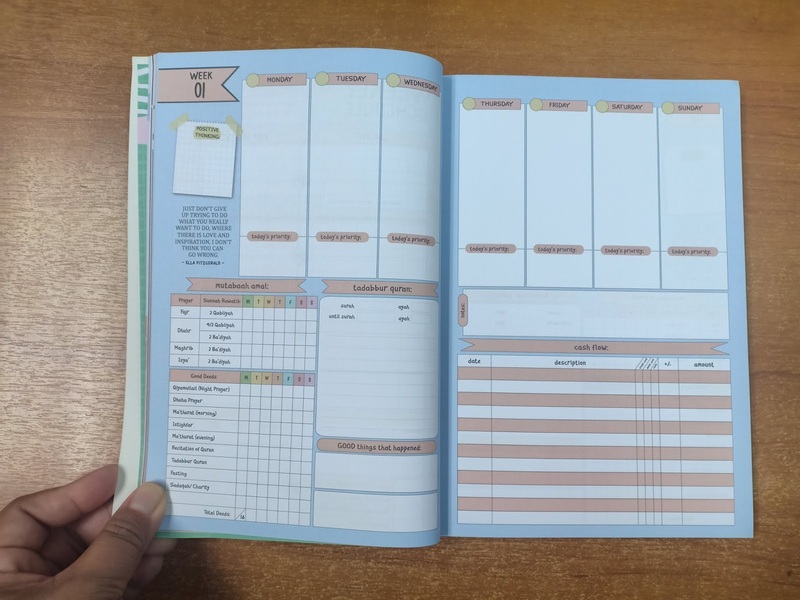 I wanted to design a planner myself but realising that I was too lazy, I decided to just get myself an attractive planner and I found out about this planner on twitter. I was attracted to its nicely designed cover and contents. 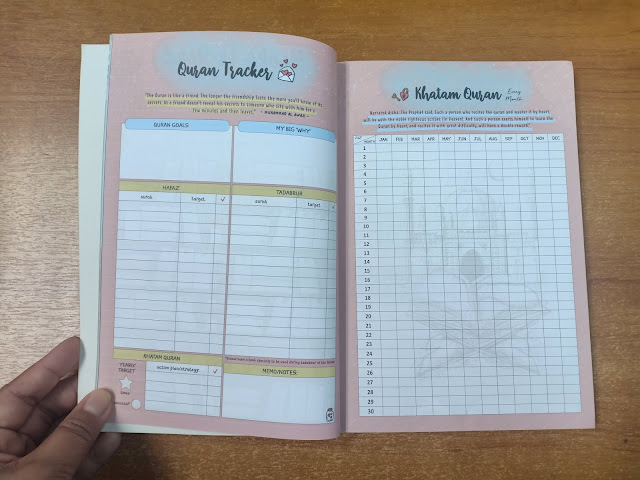 If you think that this planner is attractive yourselves, you could get it by WhatsApp the owner at +60135933229 or click this link: http://www.wasap.my/60135933229. Hopefully, I won't abandon this planner like the previous one tehee. omg this is by far the best planner ive seen! cantiknyaa and the content too! Cantik kan! That's why I bought it! 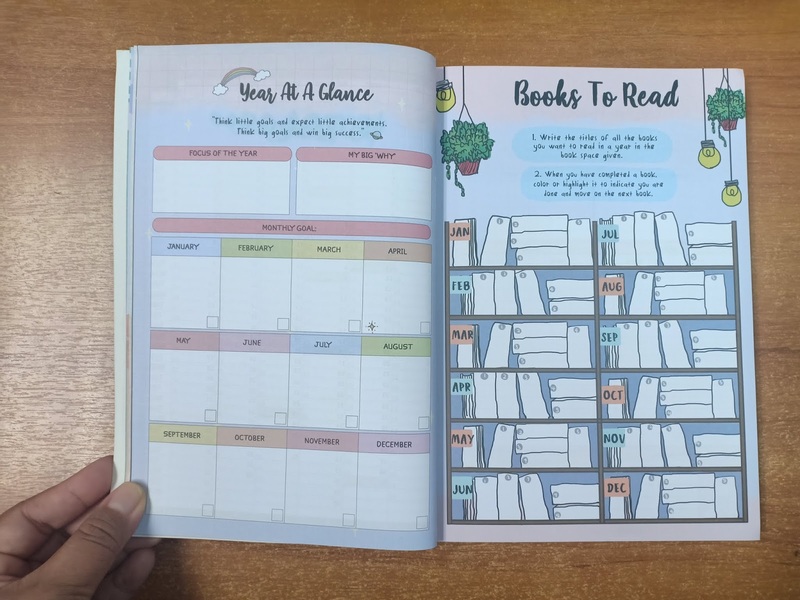 That is one cute planner! I abandoned my planner too..! hahahaha.. The spirit hilang mendadak bila salah tulis and rasa tak puas hati, nak koyak bagi tak nampak ada salah tulis.. I can never write one with this disorder.. I bought mine as well tapi tak comel macam ni la.